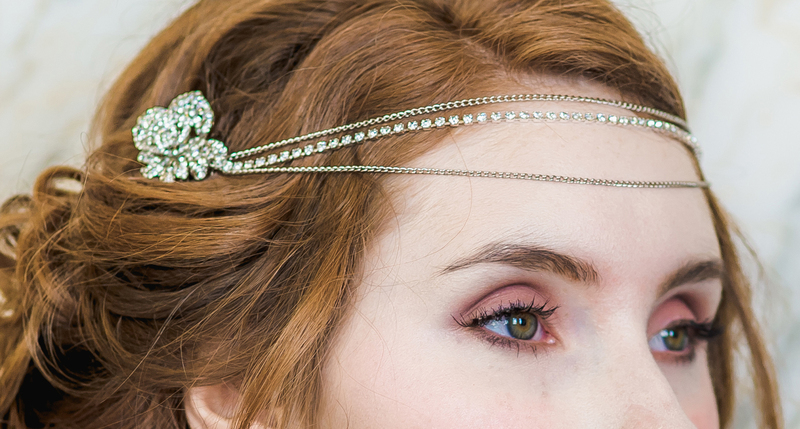 This week we’re discussing the wide range of bridal accessories out there! Now I reckon women fall into two camps when it comes to jewellery. 2) Like me, they have a few core jewellery items that they wear at all times and feel naked without them. Bridal jewellery and accessories, however, are an entirely different game that all of us, seasoned ‘accessorisers’ or not, will have to get used to when the day comes. Let’s start with the most traditional. Veils are a bit of a contentious issue as they hark back to our patriarchal past however, you don’t have to wear one. Wear whatever you feel comfortable with. Some dresses suit veils and some don’t. If you’re hair is short you may not want to cover it all up either. Luckily there are a wide range of veils at different lengths, materials and colours so experiment with what’s best for you. Tiaras can feel a little outdated as brides shift their tastes from ‘princess’ to ‘bohemian chic’. However, a delicate tiara can look really pretty with the right dress and hairstyle. Maybe have a chat with your hairstylist on how best to wear your hair if you really want a tiara, as it can either be easily lost in oodles of curls or too obvious on short hair. Flower crowns seem to be taking over from tiaras. They suit a wide range of weddings and can match your colour scheme. 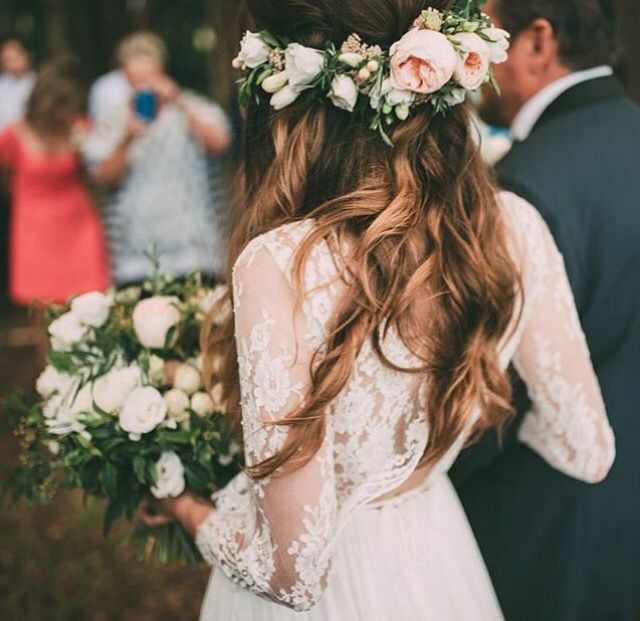 I will say though that it is a little tricky to have a veil and a flower crown, so speak to your florist about this if you are considering wearing both. My advice would also be to think small. A ring of huge sweet avalanche roses on your head can look ridiculous very quickly, particularly if you have a small face or your wearing your hair up. Less is more. I like pearls a lot. I think a simple string around the neck looks opulent and would really suit a classic A-line dress. 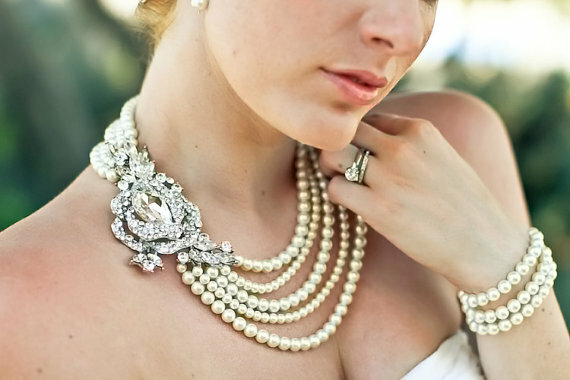 But pearls don’t have to be boring; depending on the style of your dress you could accessorize with a vintage piece. Long lines of pearls are difficult to pull off without them appearing false, so experiment with them against your dress before you decide. This depends on your other accessories and hairstyle. Pearl studs in the ears with a pearl necklace and an ‘Updo’ is perfectly put together. On the other hand you may want dangly earrings to make sure they stand out or coloured earrings to match your theme and personality. I would say wearing earrings is a must though, even if they are clip on. They are so feminine and you are likely to have alot of head shots throughout the day. All eyes are on you so be as polished as possible. This is an interesting one and I suppose this comes under the same vein as showing your tattoos on your big day. If you have a nose, mouth or cartilage piercing, do you keep it in? I’d say if both you and your hubby-to-be are comfortable with you wearing them on the day then great. But maybe consider removing any piercings around the mouth, just because it’ll be a focal point of many pictures and you want to kiss freely. And that’s it! I hope this article helped you. My number one tip is just experiment trying things on with your dress! Let that guide your decisions.